This price refers to our cheapest airport parking product available at Birmingham Airport within the next 61 days, at 12am on 24/04/2019.The quoted price today is from 24/06/2019 to 01/07/2019 at 12am searched for on 24/04/2019 and is the total cost for these 8 days. BCP are the experts in pulling together the best deals and service for Birmingham airport parking. All of our packages are covered by our Price Protection policy, so you can book with confidence that you're getting the most competitive rates online. When it comes to service, our UK-based customer support team are always on hand to help. Bag yourself a great saving on parking at Birmingham airport today. If speed and convenience are top priorities, the official Birmingham Airport car parks or a Meet and Greet operator might be perfect choice as they don't require a transfer. If you want to keep your parking charges down and don't mind a quick Park and Ride service, you can save a few extra pounds with Airparks or APH. We also have a brilliant range of hassle-free Birmingham airport parking and hotel packages that are ideal for not only saving time but also money! Compare prices below in our handy table and take a look at our Birmingham airport parking map to see where all of our car parks are located. *Live airport parking prices are constantly changing according to supplier availability and pricing and, as such, may be different to the prices advertised here. We do our best to display the most relevant, up-to-date prices here using example dates and times (specified within the '(?)' ) which is always the cheapest 8 day period within the next 61 days. To view the name and address just click the red pin icon. Use the scale or arrows on the left hand side of the page to increase/decrease the detail of the map, the further up the scale the more detailed the information. There are three different types of map - use the Map, Satellite and Hybrid buttons to change the style. Your airport parking at Birmingham really doesn't have to break the bank. BCP have used their 30 years experience to help you keep your pre-holiday costs down. Booking early and online with BCP can see savings of up to 60%, and we believe those extra pennies are better spent on your holiday. To help you choose which option is best for you, take a look at our Birmingham Airport parking advice for some handy tips. Save money by booking your Birmingham airport parking and hotel as a single package. If you have an undesirable flight time, an overnight stay in one of our airport hotels is the perfect way to avoid early-morning motorway madness and catch a few more hours sleep. Birmingham Airport Car Park 1 and Car Parks 2 and 3 are ideal options if you want super fast access to the terminal - they're the closest car parks to check-in - 2 minutes if you park at Car Park 1, and 3 minutes from Car Parks 2 & 3. Proximity to the airport isn't the only reason why they're both firm favourites with our customers, they also boasts award winning security (from around the clock CCTV and regular staff patrols) and ultra hassle-free procedures. You stay in complete control of your parking - you choose your space and keep hold of your keys, meaning you can jet off with peace of mind that your car will stay exactly where you left it. In addition to all the official airport security measures, the car parks are multi-storey which means that you car will have extra protection from the unpredictable British weather. For such convenient parking at Birmingham airport, we reckon you'll be pleasantly surprised by the reasonable prices at BCP. While there is no official car park carrying the name 'Short Stay' there are a number of car parks at Birmingham airport that accommodate shorter stays. Car Park 1, Car Parks 2 & 3, Car Park 4, 5, and 7 all offer parking for all lengths of stay. If you're looking for short stay parking to drop off/pick up passengers be sure to check out the Premium Set Down and Drop Off car parks. Please note: we aren't selling these services at present. The Drop Off car park is a 10 minute walk away and offers free parking for up to 30 minutes, making it ideal if you're happy to park slightly further away to save your cash. The Premium Set Down car park is conveniently located just 60 seconds away from the terminal, therefore you should expect a more premium price tag. For example 30-35 minutes parking will set you back £25. Off-airport Park and Rides are not only great value-for-money, they also boast comprehensive security features and hassle-free parking procedures - there's no need to make compromises just because you're parked outside the airport perimeter. This kind of car parking at Birmingham airport does usually involve catching a free transfer bus to the airport; but what you spend in time, you save in cash. Transfers can take as little as 5 minutes and the farthest car park is just 20 minutes away. With Airparks Drop and Go you get not only cheap parking near Birmingham airport but also the reassurance you are booking a well-established, customer favourite car park that offers a great service with top notch security and speedy transfers to check-in. If you're looking to bag the cheapest parking at Birmingham airport be sure to keep an eye out for APH Park and Ride. 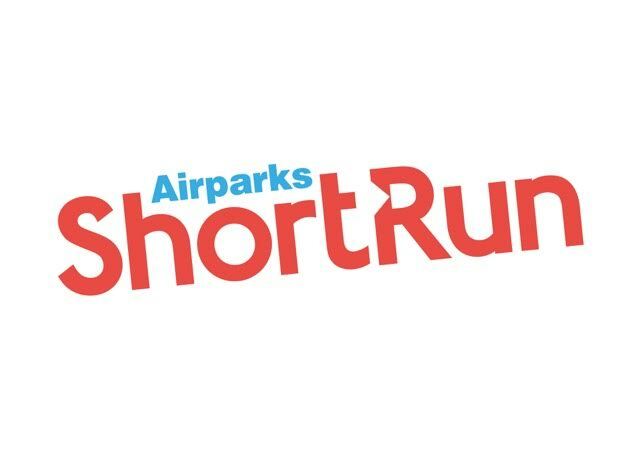 If proximity to the terminal is high on your priority list, Airparks Shortrun will be right up your street - it's located just a swift 5 minutes from the terminal. For the ultimate chilled-out and stress-free way to start your holiday there is no better choice of parking at Birmingham Airport than Meet and Greet Parking. It's very simple; swan up to the airport, sling your keys to a chauffeur and sashay effortlessly to the terminal check-in. Airport parking at Birmingham doesn't get easier or more efficient than this. The providers you'll find here with BCP have car parks located nearby and they have excellent security. Many of our customers have great things to say about Meet and Greet parking so we recommend giving it a try if you haven't already. 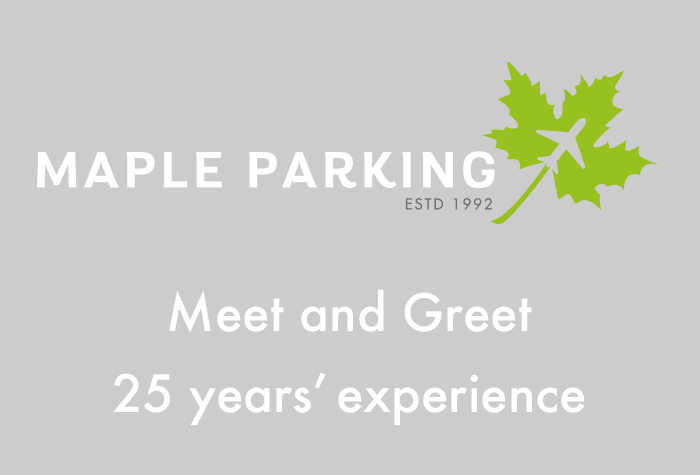 Maple Manor Meet and Greet - Feel like a VIP when parking at our most highly reviewed Meet and Greet. Airparks Meet and Greet Valet - Enjoy all the benefits of a Meet and Greet with the added bonus of a car wash. Return from your trip to a sparkly, clean car. ACE Meet and Greet - For a smooth and speedy Meet and Greet with great customer look no further than ACE. Airparks is a common favourite for cheap parking at Birmingham airport, with our customers praising the prompt and professional service, the secured facility and the friendly and helpful staff. APH offers convenient parking with award-winning security for a super wallet friendly price. How to get the best Birmingham airport parking deals? Book in advance: Prices are often dependent on how early you book, so for the best possible price, book as soon as you have your flights organised. Even booking the day before your flight can see you save some serious pounds. Super Saver Deals: Our exclusive SuperSaver rates allow you to enjoy top notch parking at Birmingham airport for a bargain prices. The only thing to note about these cheap airport parking prices is that they are non-amendable and you cannot cancel, so make sure you are confident about your dates before you book. Take a look at our table below to see how much you can save by booking your parking at Birmingham airport in advance with BCP. Booking one of our money-saving Birmingham airport parking and hotel packages is a smart move if you want to skip the bleary eyed early morning drive and stroll up to the airport in good time. Two of our most popular Birmingham airport hotels with parking packages are the Ibis and the Novotel with parking at Airparks. Both hotels are incredible value and located within the airport grounds, just a couple of minutes walk away from Departures. With secured parking at Airparks the procedures are nice and easy; first you drop your car off at the car park, catch the free shuttle back to the airport (which will take around 14 minutes), then finally walk the short distance from terminal to your hotel to check-in. On the morning of your flight, with your car all take care of, your trip will be off to a flying start. For the ultimate in convenience why not try pairing your room with Meet and Greet parking? With this kind of package you leave your car in the hotel's car park overnight then, on the morning of your flight, drive to the terminal and pass your car over to your chauffeur, who will park your car for you. All you need to do is stroll to Departures - it really is that straightforward! Customer favourites like Meriden Manor and Genting with Maple Manor Meet and Greet parking are well worth considering. As the name suggests, with these packages you leave your car in the hotel's car park for the duration of your trip. There's no need to worry about moving your car on the morning of your flight, all you need to do is catch a transfer to the airport, usually by shuttle bus or taxi. Popular options include: Arden hotel and leisure club and Hilton Metropole. For plenty more options why not check out our Birmingham Airport Hotels page. Disabled customers: There are plenty of disabled airport parking options available, facilities differ between car parking providers so please check our information pages for each service. Do I get to keep my keys? - Most of our car parks allow you to keep your keys, with the exception of Airparks Birmingham and Stress Free Meet and Greet parking service. Can I amend my booking details? - If you wish to cancel or amend a booking please contact us. All cancellations need to be made through BCP and may be subject to the terms and conditions of each product. For more information on making amendments to your booking, take a look at the Manage My Booking page on our website. What if I go over the prepaid parking period? - If this happens, you will usually be required to pay for the time extra time at the car parks normal rate. Why is a week calculated as 8 days and 2 weeks calculated as 15 days? - This is because charges are made on a 24 hour basis and the daily charge made by the car park is per whole or part day, regardless or arrival time.